Since 1947, the University of Bonn offers this successful program to international students from all over the world. Participants will get a chance to experience one of Germany’s oldest and largest universities. 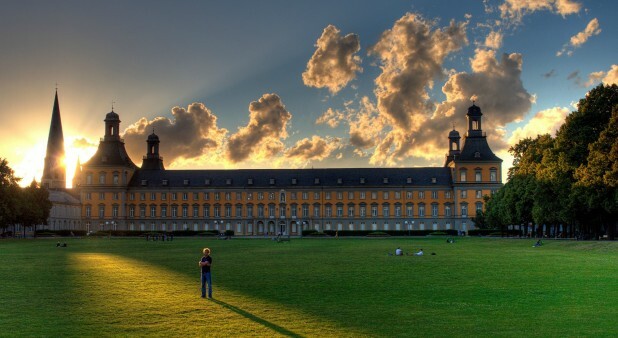 With an almost 200-year history, an excellent reputation in Germany and abroad, and a strong academic profile, the University of Bonn is one of the most distinguished universities in Germany. It is a modern research-oriented university that operates internationally while remaining conscious of its long traditions. Additionally, participants will be able to enjoy staying in Bonn, a city proud of its 2.000 years of history. Bonn is not only the birthplace of Ludwig van Beethoven. It is also a modern and vibrant international city located at the river Rhine. These days, Bonn is not just known as United Nations City. As the former German capital, it also still houses various governmental institutions and carries to this day the label “Federal City”. As you can see, Bonn has a lot to offer to international visitors regarding history, culture and politics. The International Summer Course offers the participants the opportunity to learn the German language or to improve existing language skills and to gain insight into German cultural studies. It will take place from August 7 – August 31, 2018. Applicants who wish to participate in the International Summer Course must apply by May 4, 2018. The selected participants will be notified within six weeks after the registration or at the latest one week after the registration deadline. All other informations you can find here.